AirPlay 2 will allow people to push photos, video, and audio to LG TVs. It should also enable some limited Siri control through devices like iPhones and HomePods, and interweaving with HomeKit automations. Via Apple's Home app, people should be able to turn a TV on or off, change volume, or even switch inputs. LG didn't immediately provide any more details, such as whether it might update software on existing TVs. The announcement follows Vizio's earlier on Monday, and Samsung's on Sunday. Samsung went a step beyond, promising a native iTunes app. Until this week AirPlay 2 had been limited to speakers and receivers, and iTunes to Apple hardware and a Windows app. Apple is presumably laying the groundwork for its upcoming streaming service, due to launch sometime in 2019 with $1 billion or more in original shows and movies. While first-party video could be free on Apple hardware, the company may also be aiming to sell subscriptions to outside services, and eventually its own paid content. Limiting access to Apple platforms would likely make it hard to turn a profit. Apple continues to be the ever-present elephant-in-the-room at CES yet again. Just like they are at MWC. Even though they don't have a booth, it seems like products that can work with Apple are all over. From HomeKit accessories to AirPlay 2 to Samsung and iTunes support. Great news!! The more the better. I’m so happy about all the AirPlay 2 and HomeKit integration. I hope they update the software to work with my LG C8. Still not sure I get the iTunes play here. How does Apple control the quality and experience? Will this actually sell more services? I may buy an LG tv bc it supports HomeKit. (Altho my current TV is on a homekit plug). This and Apple Music on Echo are a bit confusing to me. If a consumer has a bad experience with iTunes on a piece of sh*t smart Tv it will only hurt the Apple brand. Anyway, it is what is at this point and time will tell. Apple is effectively in dozens of booths, much more engaged at CES than in years past, and for good reason. 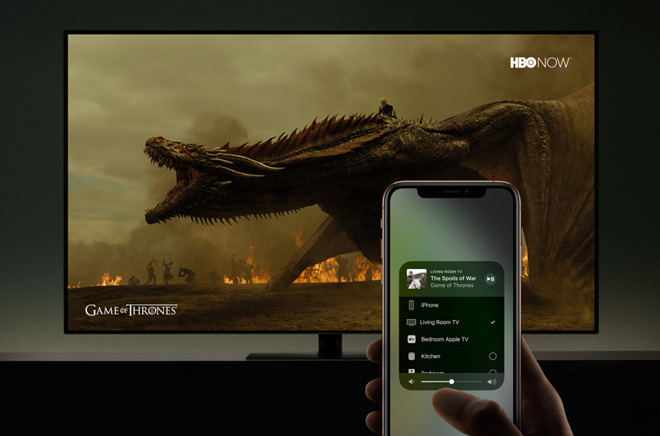 I would like to see LG update some of its OLED TVs with AirPlay 2 via firmware update rather than restrict it to newer models, this will give value to existing users. Upgrading TVs isn’t like upgrading a phone so I hope this happens, where the hardware allows.